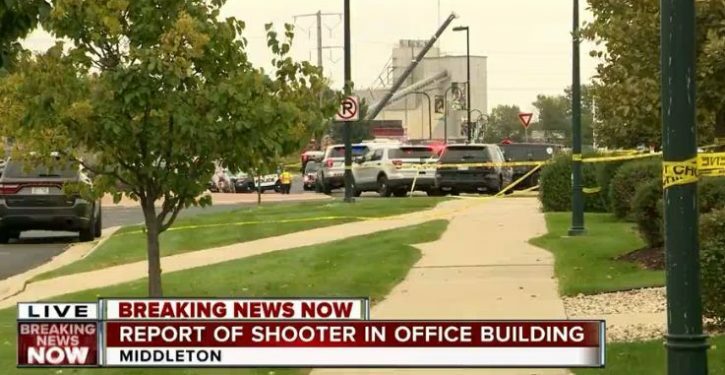 A shooter opened fire inside a Wisconsin software company on Wednesday, wounding three people before responding officers fatally shot the assailant as workers ran from the office building or hid inside, according to police and witnesses. Two hospitals in Madison said they were initially treating five people from the shooting: one who was in critical condition early Wednesday afternoon, two who were in serious condition, and one whose condition wasn’t released. The fifth person was a walk-in patient who was treated and released. It wasn’t immediately clear if one of those patients was the shooter. Police also haven’t released details about the injured, but Foulke said police would release more information about the shooting later Wednesday.